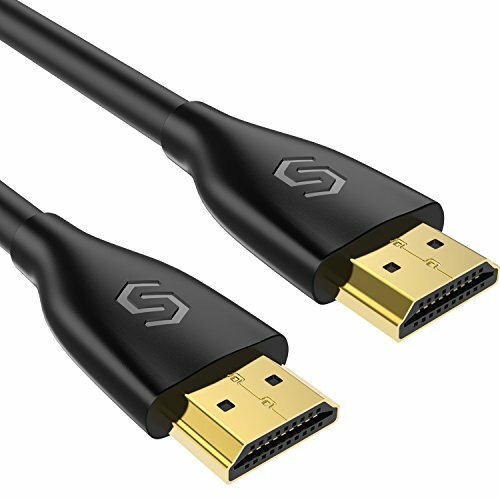 Syncwire High-Speed HDMI Cables can connect your home-entertainment, or gaming device to a big-screen HDTV, large projector, or computer monitor. 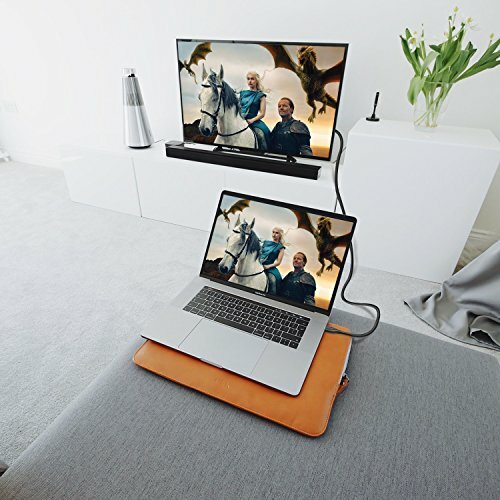 Synwire HDMI cable can transmit two video streams (dual view) at once and up to four audio streams all at the same time. More often, Syncwire HDMI cables support up to 32 audio channels and up to 1536 kHz total audio. 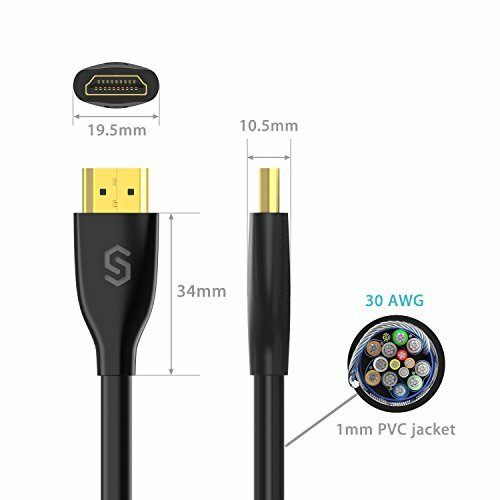 Syncwire High-Speed HDMI 2.0 cable significantly extends bandwidth of up to 18 Gbps, providing 4K @ 60FPS (2160p) video resolution (four times higher than 1080p / 60) and supports wide-angle 21:9 video aspect ratios. 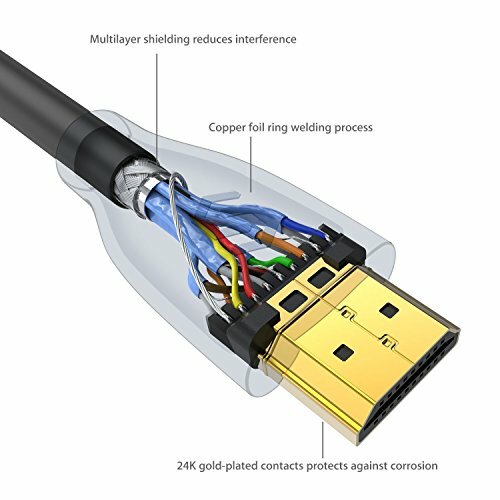 Syncwire HDMI 2.0 cable with gold-plated, corrosion-resistant connector (A Male to A Male), can be in the contact point to provide the best signal transmission, reduce the transmission path loss. 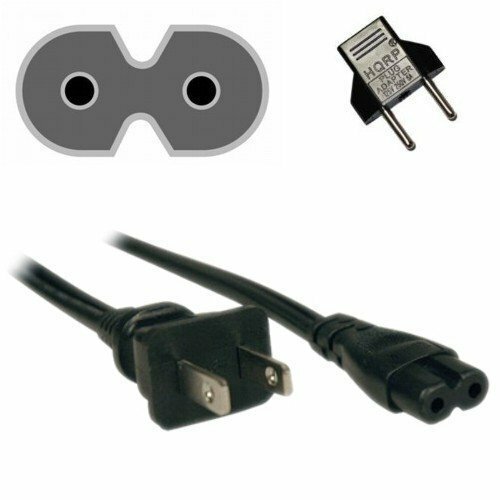 Advanced special PVC outer and shield also prevent external interference, helps maintain the integrity and purity of digital signals. 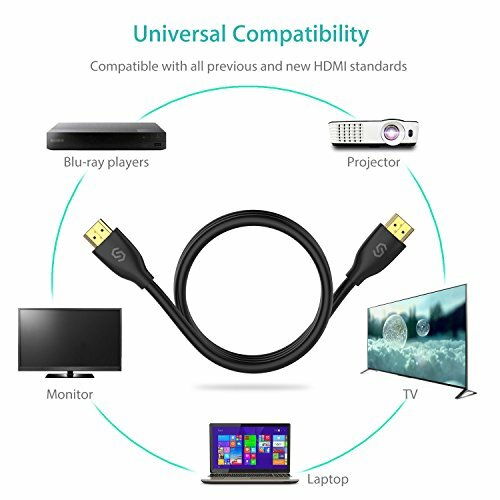 Syncwire High-Speed HDMI cable is compatible with all HDMI 2.0 devices, while backwards compatible with all previous HDMI standards. When two devices with different HDMI standards are connected, they will automatically find the best available connection. 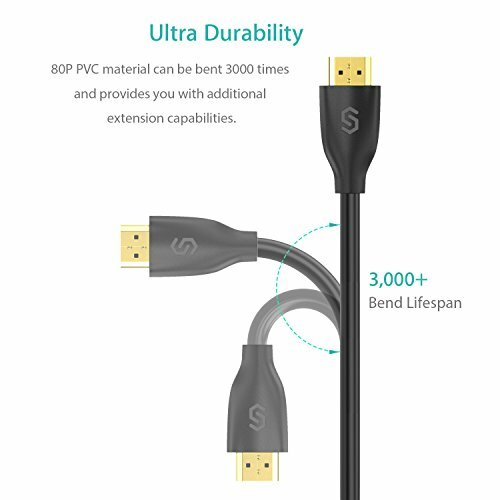 Syncwire HDMI cable supports shared Internet connections. Therefore, there is no need for a separate Ethernet cable. 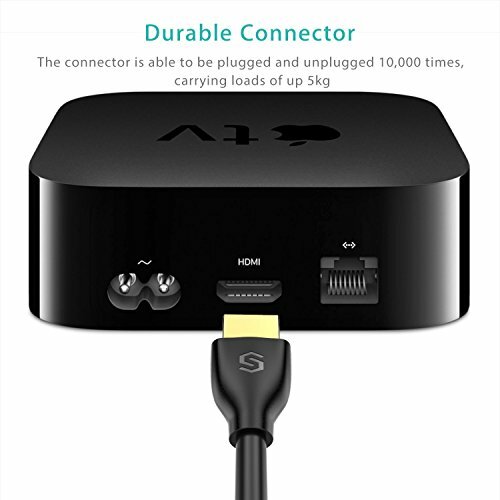 You can also make internet connections between multiple devices.